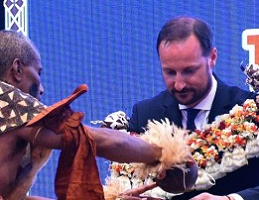 Crown Prince Haakon of Norway is continuing his visit to the Pacific region. On Monday, he arrived in Fiji and was received in a traditional ceremony. click on the link below to read the full article.